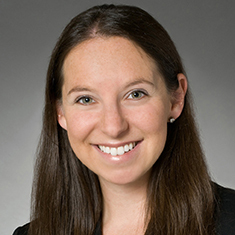 Jessica Kraver concentrates her practice in intellectual property and litigation and dispute resolution matters. She focuses primarily on intellectual property, advertising, marketing and entertainment transactions, including trademark, copyright, licensing and technology matters. Jessica regularly counsels clients on trademarks and copyrights, as well as integrated marketing campaigns, including joint promotions, brand and product integrations, talent endorsements, sponsorships, contests and sweepstakes. In addition, she provides advice on copyrights and licensing with respect to music, television and film properties. Jessica has also represented fashion and apparel clients in intellectual property infringement litigations involving copyrighted lace designs and geographic trademarks, as well as contractual disputes. Jessica is committed to serving many of the firm's pro bono clients and regularly counsels clients on intellectual property matters, strategic partnerships, social media policy development, employment and consulting agreements and other general business issues. She is a certified information privacy professional (CIPP/US), credentialed by the International Association of Privacy Professionals. Representation of client as part of a trial team in an age discrimination case before a jury in the Southern District of New York; reached a successful verdict.